"The teaching of ballet requires a continual renewal of passion for ballet, and a soul-deep belief in ballet as a complete form of artistic expression. Just as there can be no substitute for owning one's soul, there is no substitute for having lived this passion as a professional dancer, for having earned one's passion in work and performance, for having lived ballet itself. A good ballet teacher looks not at her students, but into them. She breaks down the work, not the dancer. She teaches, by example, that doing good work is what matters most of all, and that success in all the rest - in life as in dance - follows from good work. This is what it means to 'build dancers'." he starred in Warren Miller's Winter Fever and was the lead performer in the international Ski Film Festival-winning film, Wintersong. He has appeared in dozens of television-magazine shows throughout the United States, as well as in Ski and Skiing magazines. Dancemagazine attended one of his live performances and published a feature story on Michael's innovative merging of sport and dance. 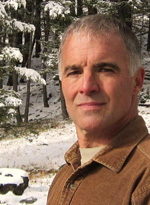 He is a published novelist with a background in music, theater, photography, education, and business. 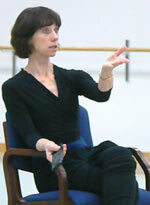 Sallyann studied privately and semi-privately for a year with Prima Ballerina Gelsey Kirkland. Ms. Kirkland, former principal dancer with New York City Ballet and American Ballet Theater and widely regarded as one of America's leading ballerinas, visited Montana several years ago to guest teach Sallyann's Artisan Dance company. She and her husband, teacher/choreographer Michael Chernov, have recently opened the Gelsey Kirkland Academy of Classical Ballet in New York City. Among their goals is the fostering of a renaissance in story ballets. Ms. Kirkland and Mr. Chernov took time from their 2010 nationwide academy-audition tour to offer their endorsement of Ballet Montana Academy. Sallyann Mulcahy's rich emotional life has always translated into beautiful, soulful dancing. It is often the case that the most sensitive of artists do not blow their own trumpets, and perhaps the quiet profile she has kept these many years in Montana were in preparation for a new life direction. Having shared the joy she imparts to her students and professional dancers, we are delighted to hear about her decision to found Ballet Montana Academy. Sallyann demands nothing less than the best of her students, yet at the same time is able to support them through the difficult transitional stages required when breaking old dance-training habits and creating new, healthier ones. Her solid teaching base and technique combine with her positive and generous spirit to enlighten her dancers, and we support her wonderful endeavor wholeheartedly. Ballet Montana Academy teaches classical-ballet technique at three levels. Achievement Track I is designed for serious, talented students who are considering ballet as a career. Achievement Track II is open to students transitioning from Track I with correct, detailed advanced-level* technique and a commitment to dancing professionally. The syllabus for both programs comprises an optimal balance of technique, variations, pointe, and physical conditioning. Dénouement is an Academy level dedicated to providing technical and artistic refinement to emerging and established professionals, including career counseling, audition preparation, remedial training, and injury prevention/recovery. Enrollment at all levels is by audition. *Ballet Montana Academy's ability standards are international and career-oriented, based on a student's preparedness to dance professionally. Ballet Montana Academy offers training at a level that invariably requires a focus change and, occasionally, a residency change. A high percentage of students who have studied a year or more with Sallyann have become professional dancers, and their studies have often meant relocating to Helena to train with her: sometimes permanently with their families, sometimes renting an apartment during the week with a home-schooling parent, sometimes residing with a host family and transferring to a Helena public school. Students in their junior or senior year of high school who need assistance locating a Helena host family are invited to inquire about home-stay possibilities. 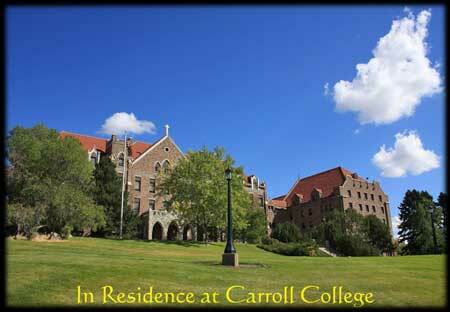 High-school graduates who wish to combine serious ballet training with higher education are encouraged to research course options at Carroll College. "Genius is the ability to reduce the complicated to the simple. Sallyann Mulcahy has this gift of greatness. What she gives will always work." "She knows what ballet is all about and has trained with the best and danced the best with the best. Sallyann not only understands cutting-edge dance technique but also is able to demonstrate it. She is an artist of the highest caliber." "Sallyann is the ballet whisperer. She knows what dancers need and gives it life." "Sallyann's deep understanding of the intricacies of ballet parallel the intensity of her passion for sharing this beauty with her students. These qualities radiate through her precise training methods, and resonate as a truly powerful means of artistic growth." Academy classes commence September 4, 2012 and run through May 31, 2013 in two semesters. Enrollment is limited with very small classes allowing for extensive individual attention. Tuition includes performance, wardrobe, and rehearsal costs, dance-library access, Saturday classes, and admission to two "The Stage We Share" excursions per semester. Full-semester registration is required. Academy performances are staged annually, with optional invitational engagements. Acceptance at Ballet Montana Academy is by private audition and interview, and requires a parental consultation. Contact Michael Russell, Director of Development, at or Sallyann Mulcahy, Director, at or call 406-447-5508.